From the carpentry to the Quaker-style finishing touches, no detail has been overlooked making this one seriously good-looking desk. Crafted with smoothly bevelled drawers and tapered legs. The Willow collection commands attention without demanding it. Subtle. Sophisticated. 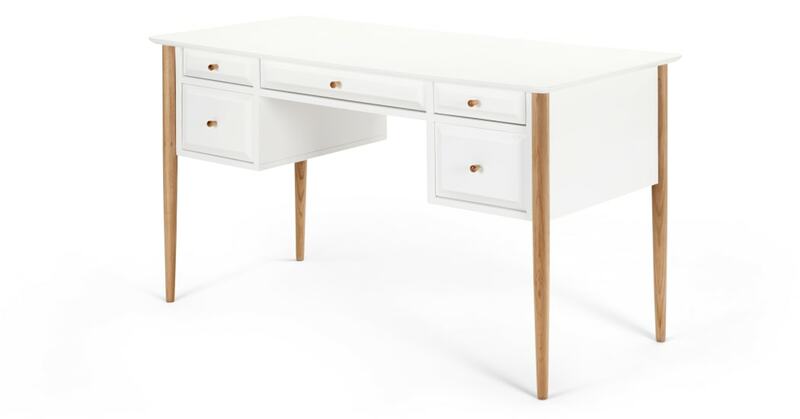 This MADE Studio design is the foundation of a refined home office setting. Spot the vintage design details, like the rounded tear-drop handles, the oak skirt and the tapered solid oak legs. Plus 5 roomy drawers mean there's plenty of space to store paperwork and all of your office essentials.